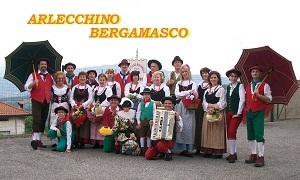 The folk group performs a show dedicated to the traditions of Bergamo in typical XIX century costumes worn in the valleys. 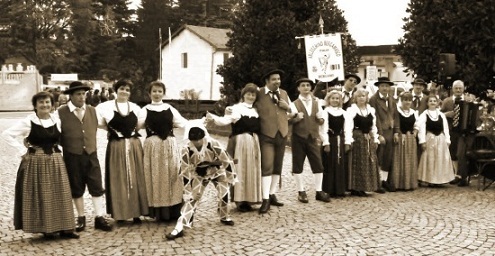 The repertoire consists of dances and popular songs in dialect that tell about the ancient jobs in the Bergamo area and the lives of its people. Simple sketches with legendary characters of Bergamo and its province, the main and most famous being Harlequin, complete the show. The group is composed of about twenty-five elements including musicians, dancers and singers, with live music of accordion, percussions and everyday life objects and tools. An announcer introduces the meaning of the various phases focussing on the special customs and folk moments of entertainment that fully involve the public. 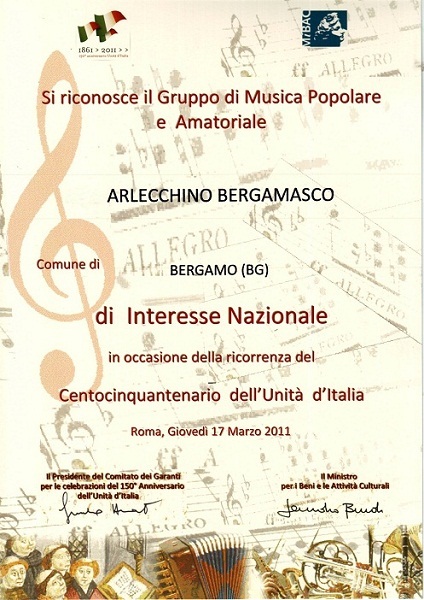 The association is a no-profit organization of Bergamo city. It's proclaimed as a "group of national interest" by the City Council of Bergamo and the Government of Italy. 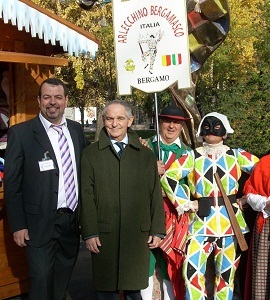 The group is part of the "Ducato di Piazza Pontida", a historical association that, since 1924, has been committed to spreading the traditions and popular culture of Bergamo. The association is affiliated to F.I.T.P. Federazione Italiana Tradizioni Popolari.